Recently, the results of the 2016 Super Lawyer awards were published and Attorney Kevin Ford was pleased, once again, to have been selected as one of the few Super Lawyers in Georgia. Attorney Kevin Ford stated that “The award is the end result of thorough preparation of the case from beginning to end for mediation or trial for my injured clients.” The award and distinction is evenly important as only the top 5% of the lawyers in Georgia are named in Super Lawyers. 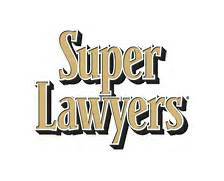 Each year, no more than 5% of the lawyers in Georgia are selected by the research team at Super Lawyers to receive this designation. Super Lawyers, a Thomson Reuters business, is a rating service of lawyers from more than 70 practice areas who have attained a high degree of peer recognition and professional achievement. The annual selections are made using a “patented selection process “that includes nominations, an independent third-party research evaluation of candidates and peer reviews by practice area. The final result is a credible, comprehensive, and diverse listing of outstanding attorneys which can be used as a resource for consumers and attorneys seeking legal counsel. Kevin Ford is the founder of the Law Office of Kevin C. Ford, a personal injury and wrongful death law firm based in Atlanta, Georgia and located in Buckhead. The firm has a statewide practice. Mr. Ford has over 25 years of legal experience and practices primarily in litigation of personal injury, motor vehicle and truck collisions, and wrongful death. If you or a loved one is injured as the result of the negligence of another, it is important to contact an experienced personal injury attorney immediately to investigate and gather evidence for your claim. You can either call Kevin Ford direct at 404-869-6969 or email him directly at fordlawoffices@aol.com.